It is the time of year before everything sleeps. It’s so cold here, already! In the morning frost blankets the ground and I actually wore my winter coat a few times. I’ve been in a bit of a hibernating mode this week. Rose hips in the sun from last weekend.
? One of my dream homes (I have a few!) 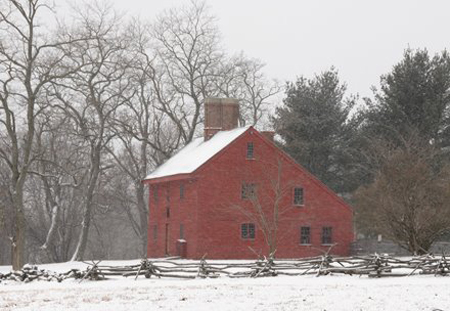 is a simple, classic saltbox. I think this house style comes in #1 for me! I like flat fronted houses with simple lines. 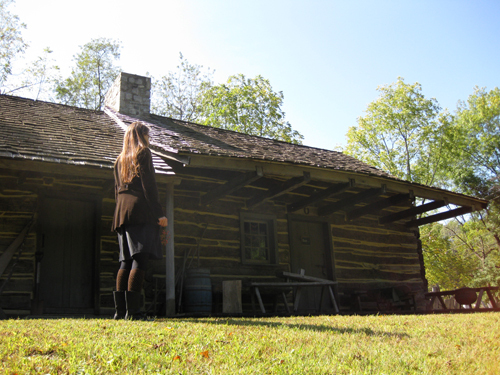 I love the roof slope on the saltbox, as odd as it may seem. They originated in New England in the 17th century so I think their history gets me as well. 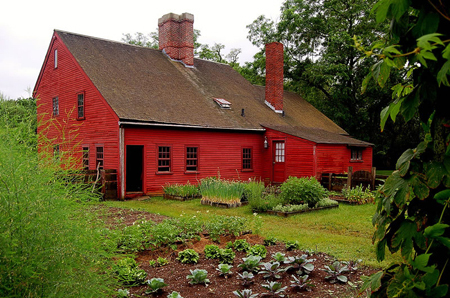 Here’s the home of Rebecca Nurse, near Salem. 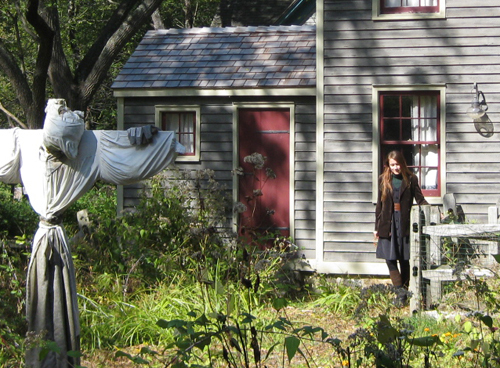 I love Salem and have visited many, many times! The front view is the winter and the back view is the summer. Look at that garden!
? 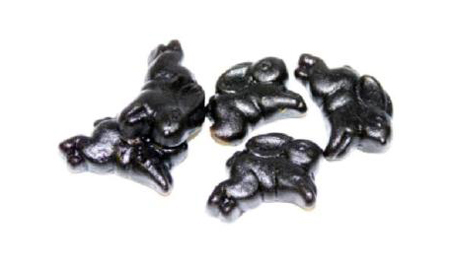 I like licorice! Only the natural kind. Running Rabbit is one of my favorites. I usually opt for the cherry but the black kind is good once in awhile.
? 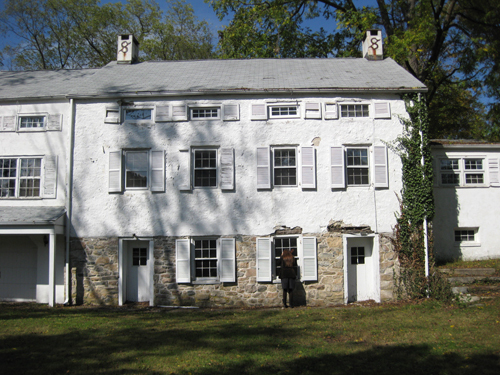 I live a few miles away from one of the headquarters of George Washington! This makes the area where I live rich in history in so many ways, which I love. I love exploring historic places. He and his men camped in the woods where I explore.
? I live behind a Whole Foods. My husband was looking for a place for us to live based on the location of this store. Yes, I am there everyday. It’s a little crazy. Sometimes I go twice. I try to eat mostly organic.
? My parents house has these fabulous stained glass windows! Here they are around one of the windows. 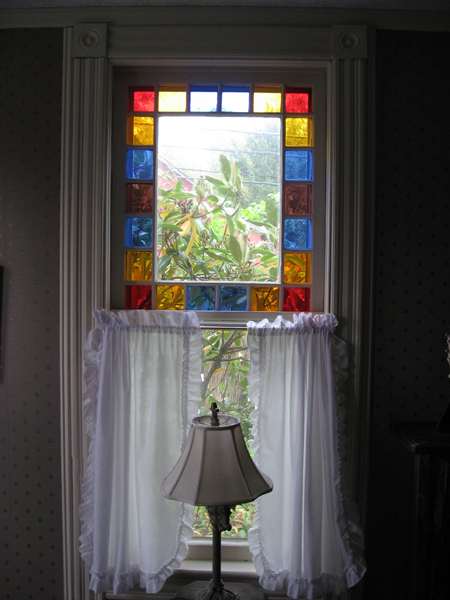 They frame about 26 of the windows in the front of the house, it’s such a magical place! 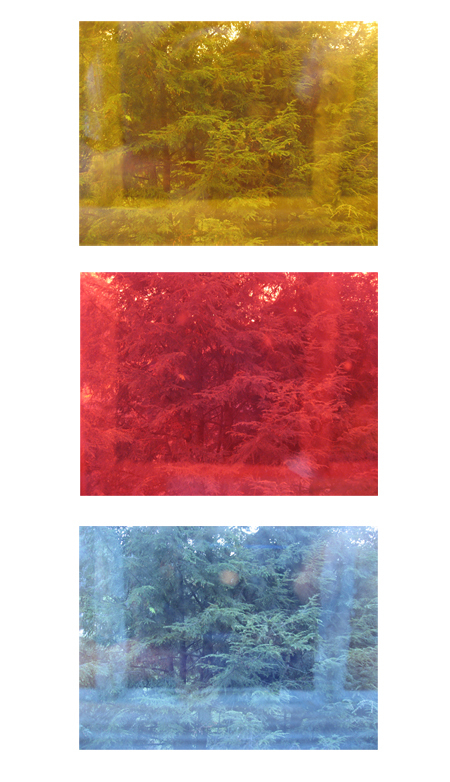 My favorite thing to do was (and still is) peek though all the colors to the outside trees! Let’s peek, shall we? So thats that. what have I been up to? I am working on another painting, some sketches, gosh I need to get going on my art! Halloween is already next Friday too. I’ve Look forward to more posting this week, as I have a few things to share. Been thrifting like crazy, I bought bags of some of the nicest stuff this past week, all vintage. A pretty white (and very warm and fuzzy) capelet, a patent leather purse, little black oxfords with tassels and lace ties, a high waisted woolen skirt, dainty yellow gloves, hair bows from the 40’s, an elegant beaded 50’s cardigan, a gingham apron with little flowers embroidered about…I wish I had time to photo it all. I find all my dream clothes while thrift shopping, it’s really quite amazing. And, I have the best thrift shops between my house and my afternoon commute. I am obsessed! Have a good week! Captured these in the late afternoon sun of today! 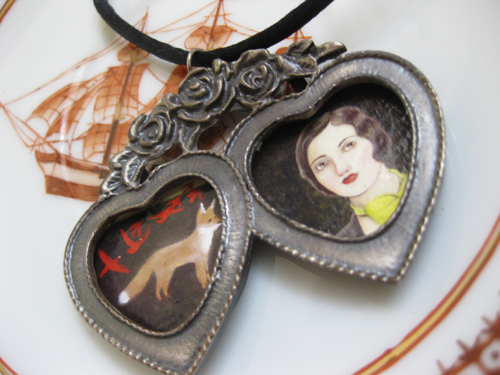 A journal and a necklace, both featuring Seafaring Heart. 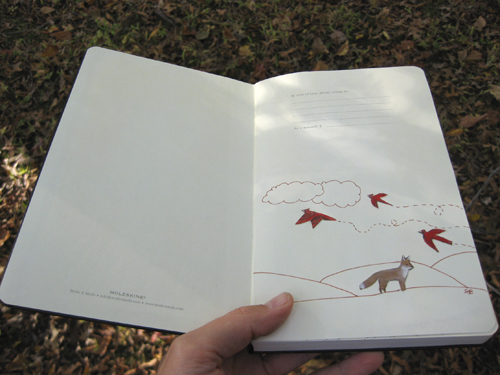 The journal features some original sketches inside! Both available here. It’s a large Moleskine sketchbook! 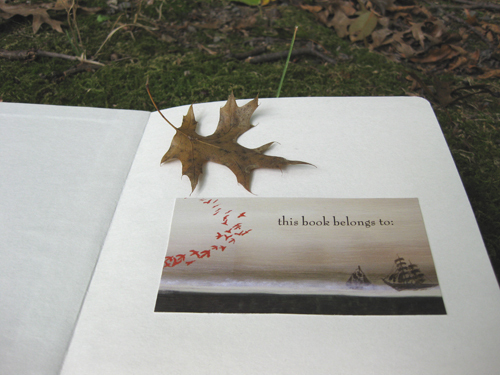 Cover adorned with an oval print of “Seafaring Heart”. Print is protected with a UV varnish. 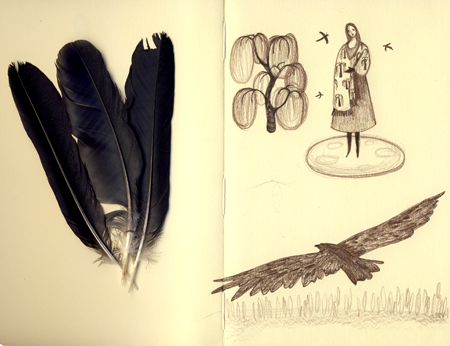 Little collage of Seafaring fox and birds and sketch on first page. Comes with a double-page spread of my original art! 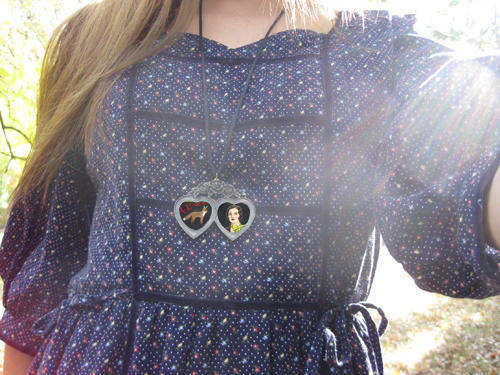 Sweet double cameo with mini-prints emphasized to show detail. 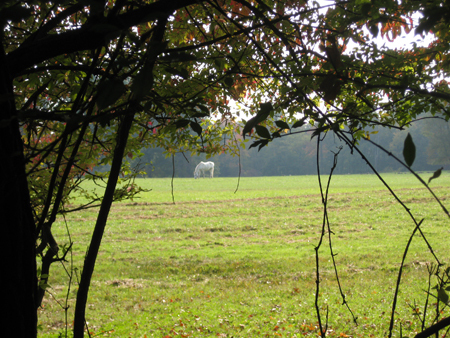 ♥ The meadow full of wildflowers, monarchs and heart shaped trees a few miles from the inn. 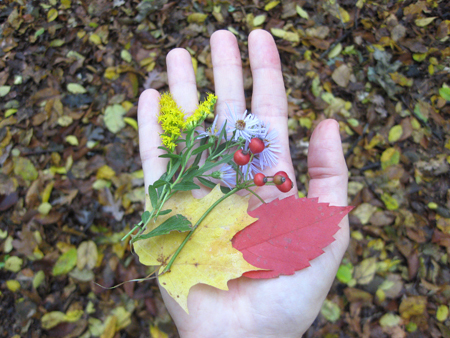 ♥ Autumn treasures. There will be many handfuls more. ♥ Serendipity. 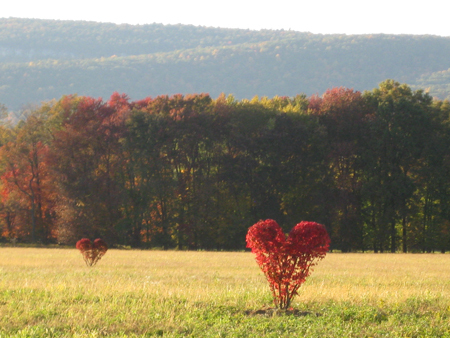 First the heart trees in the meadow, then this! 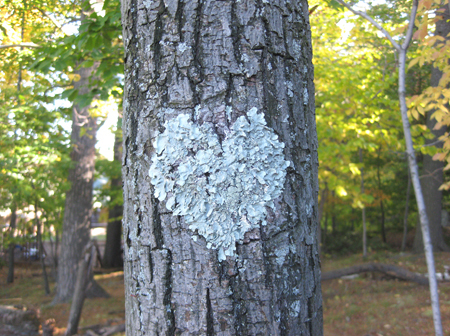 I was blown away by this heart-shaped patch of moss on the tree, discovered while walking up the mountain path. You see it? 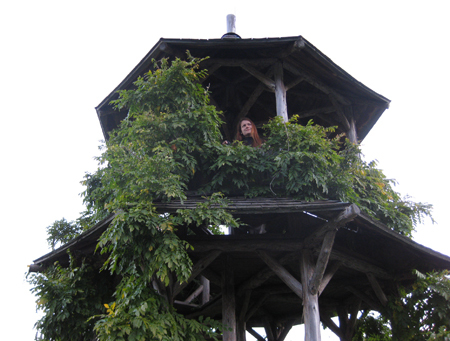 ♥ At the tippy-top of the mountain was a castle-like lookout tower. We climbed to the top. ♥ Expansive view from above. 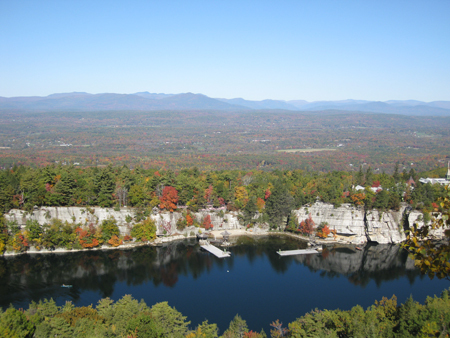 From the Appalachian mountains we could see the Catskills. I even spotting a far away mountain where my parents house is, and I used to live. 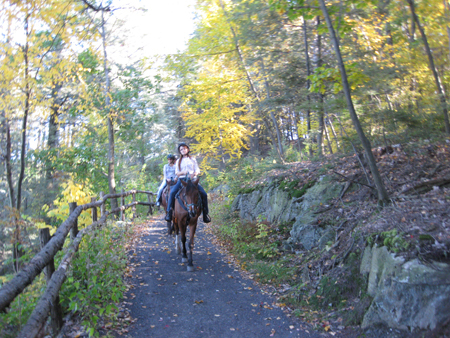 ♥ Went horseback riding through mountain paths. Thanks for visiting here and sharing in the autumn goodness! 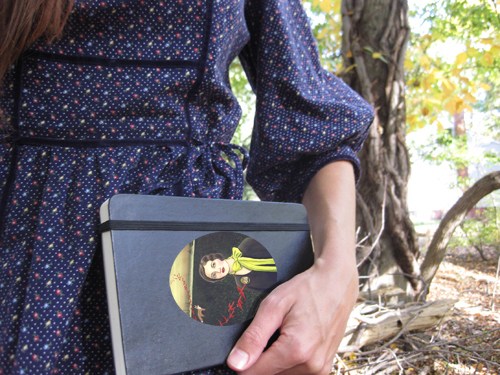 Speaking of, I will have a very pretty moleskine in my shop tomorrow, along with a special one-of-a-kind double cameo. Both feature Seafaring Heart so please do stop by! on a fall walk through an old abandoned village! My favorite type of architecture resides here. 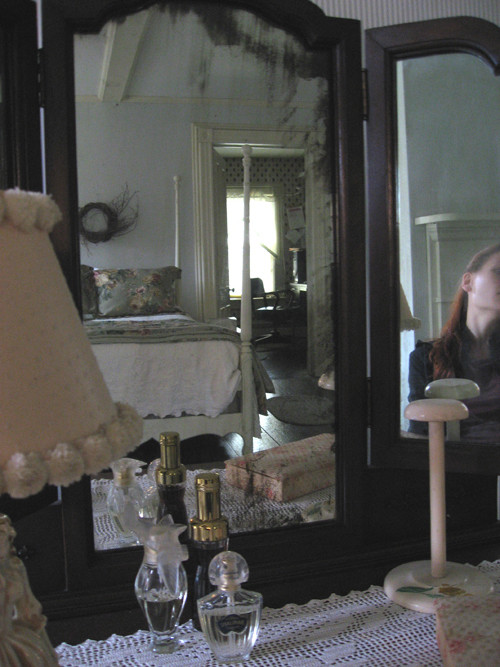 Last weekend I attended a poetry festival in the village with thousands, and this weekend we returned all alone. 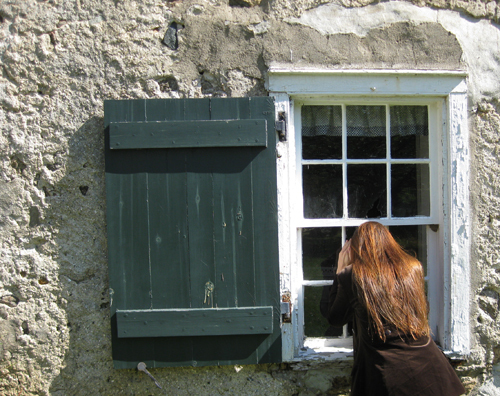 So lets take little peeks in windows and knock on the doors of abandoned buildings and homes! 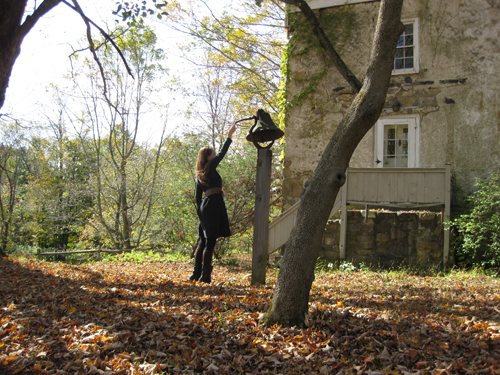 Ringing the bell, it is loud! 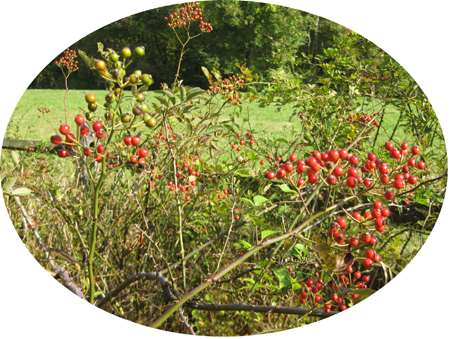 Wild rose hips grow abundantly around the village. I’ve been picking bunches to dry in my travels. 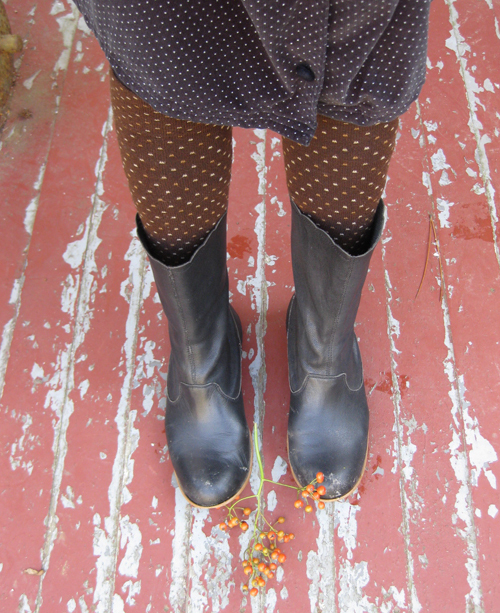 Standing in polka dots on one of the very textured, paint peeling porches. 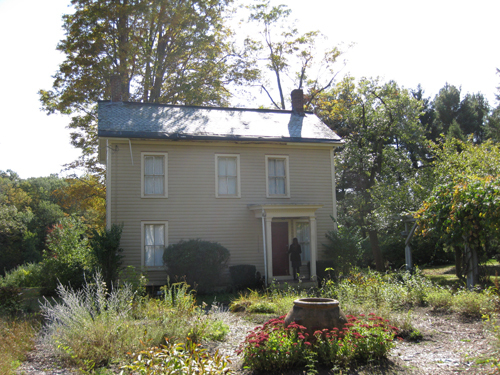 Over-grown herb garden in front of a tiny colonial house. This one has a ghost scarecrow residing amongst the weeds, herbs, flowers and berries! 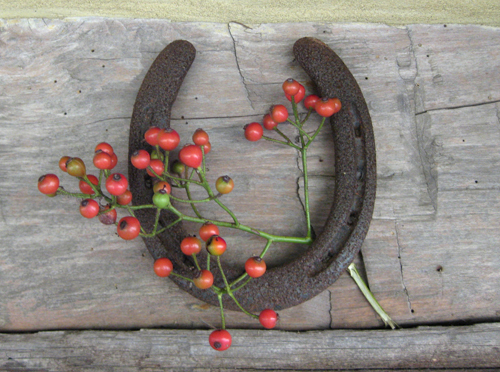 I left some wild rose hips in the old horseshoe above the door for the ancestor ghosts that reside there. Frolicking to the mill, crunchy leaves underfoot! 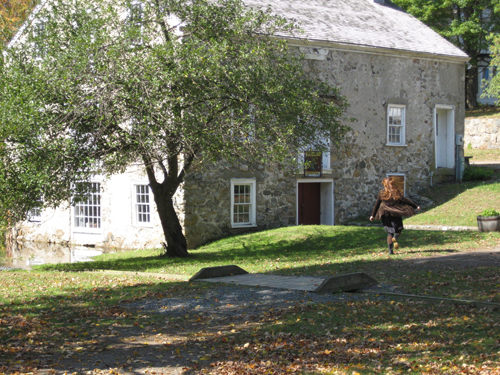 This stone building is so sweet. 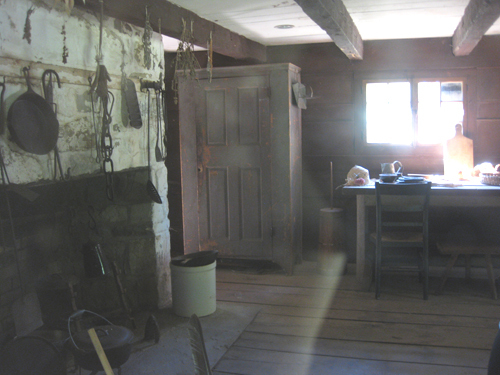 Inside was set up like a little rustic tavern (and is flooded…sad). 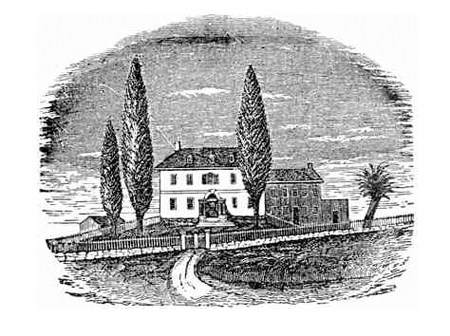 Another quaint dream house, complete with an old world herb and flower garden. I am obsessed with stone bank houses and eyebrow windows. This one is a dream! A bit creepy inside too. 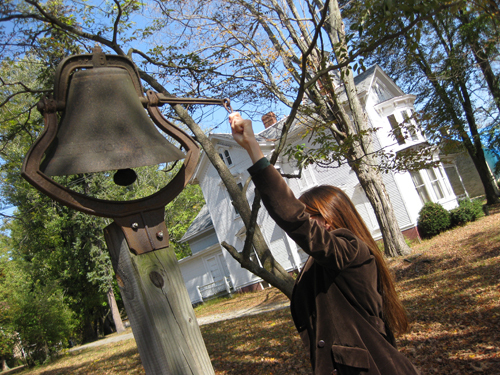 I just had to ring the giant rusty bell one more time before we left. The sound echoed though out the empty village. Notice the amazing white Victorian house behind me. A bit out of place in the village but it’s architecture completes my love for the place! Thanks to my husband who followed me around, capturing this magical place! Some of the photos were a surprise, which was nice. I am a peeping tom, I guess. 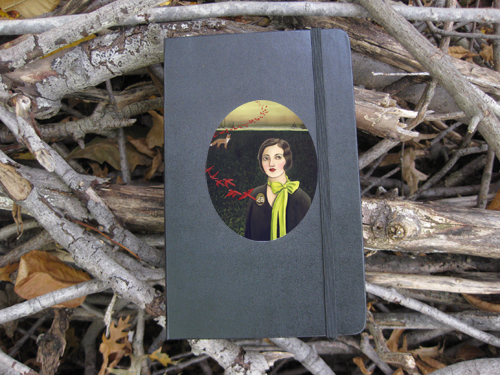 On Friday I snuck another sketchy journal into my shop, which has a pretty new bookplate. It is sold but here’s a little teaser (there might be more, not exactly like this one though). 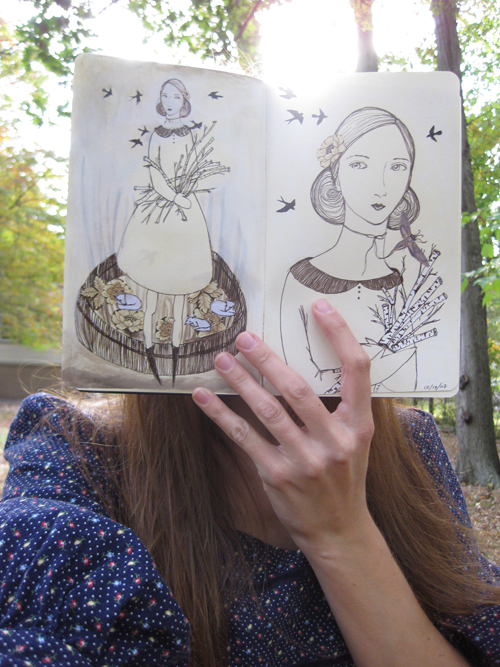 To be filled with feathers and leaves, sketches and prose. 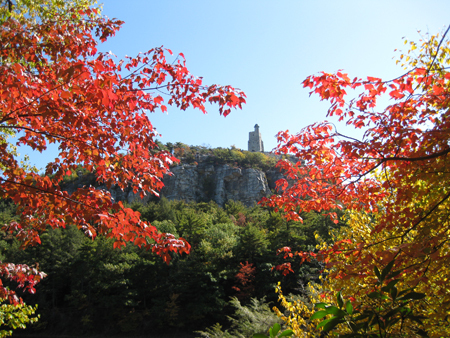 And a beautiful Autumn weekend to all experiencing the season! The moss was dry of dew and rain so I was able to photo this sweet new treasure (perfect for recording all your ramblings and/or doodles!) Hand-stitched felt goodness (and calico papers!) 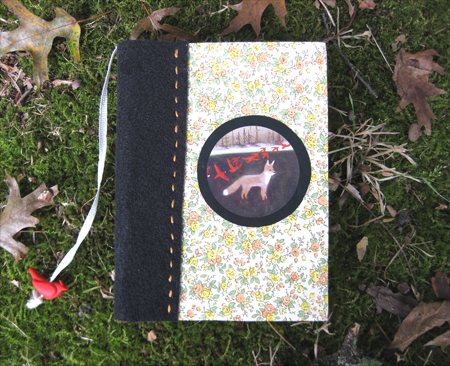 custom bookplate and mini print inside (not to mention the little fox on the cover!) Up for grabs in my shop.